This DLC mission starts with Commander Shepard getting a message on his private terminal that informs him about Cerberus' attack on a research facility on Eden Prime. The Systems Alliance had this facility built to study Prothean artifacts found on the planet. Of course just because it's a Systems Alliance facility doesn't mean Cerberus can't come in and do what they do best. Ahem, kill anything and everything that happens to stand against the Illusive Man's cause. Unless you have Commander Shepard that is. The gang is left to search this human facility and stop Cerberus from acquiring the Prothean artifacts that are being studied at the site. While investigating this site after Cerberus has attacked poses a few questions. What is so important that Cerberus must get their hands on it? Why were these artifacts kept secret for so long? What really is here to find and is it something that can help in the construction of the Crucible? Well those questions are definitely answered by the time the mission is over and everyone is returning to the Normandy. Do you want to know what was the top secret artifact? Well there are a few of those, but that isn't the big reveal. Nope. The secret...is a...living...Prothean! Yep, that's right. Mankind stumbled upon a real life Prothean within the ruins left behind on Eden Prime. Javik is his name and being a complete douche is his game. Seriously his first impression is not a bright and shiny one. I will save some surprise for you all to see. Just don't go into the mission thinking you're getting an overly cheery character. Of course Javik plays into everything you do. I've had him join me on countless missions and everyone reacts to him like he was built into the game during normal development...(hopefully you readers catch this). The newest member of the team brings with him a small Prothean arsenal as well. Primitive weapons won't do for this 50,000 year old warrior since he packs a new assault rifle. I used it a few times, but it just doesn't fit into my play style. It's much more for keeping distance from the enemies and I'm a Vanguard. So I'm designed for up close combat with Biotic Charge/Shockwave/peppering of bullets/melee. It's a cool weapon though as once an enemy has no more health it melts. Plus you don't need ammo since it recharges, but if I hit zero on its meter I have to wait for it to cool down and then recharge. Outside of the new weaponry is his Dark Channel ability which is a constant poison that slowly kills the enemy (you can level it up to be more potent). 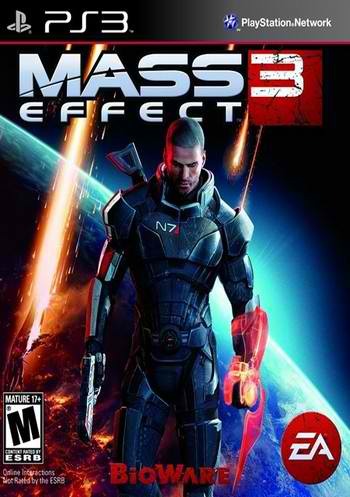 This mission by itself doesn't add that much to the overall plot or story of Mass Effect 3. 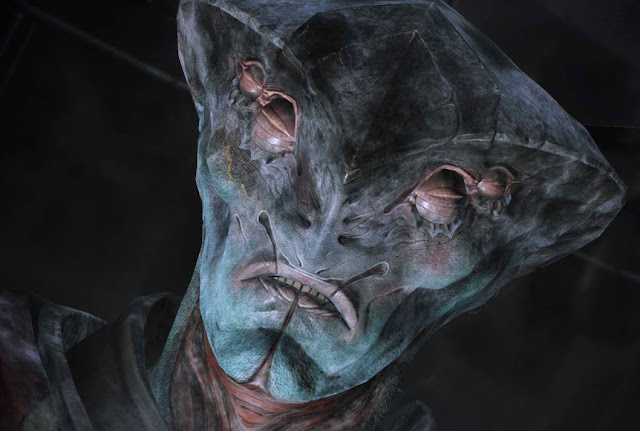 However Javik alone carries that weight since he adds all kinds of Prothean era information to the game. As long as you take him with you. While he's gruff and a jackass of sorts at first, he does surprisingly calm down later on. Allowing some real understanding of his life and the Protheans as a whole. His back and forth with Liara is pure gold. I'm talking .9999 proof here. As a standalone mission I wouldn't typically recommend spending the $9.99 for From Ashes. However Javik is a character that adds so much to the entire Mass Effect galaxy that I say you must buy this piece of downloadable content. The only issue you might face is not wanting to use him for every single mission after getting him, but that's entirely up to you.